Jeep Momma - Blog: Which Jeep is Right For You? When I bought my first Jeep it was the JKU Sahara. At the time that was the perfect Jeep for me. It had the one thing I was looking for in a Jeep -- the ability to put the top down, feel the wind in my hair and the sun in my face. But as the weeks went by, I became immersed into the Jeep Community. My eyes began to open to a whole other world I did not know existed -- Off-roading and Jeep Modifications. 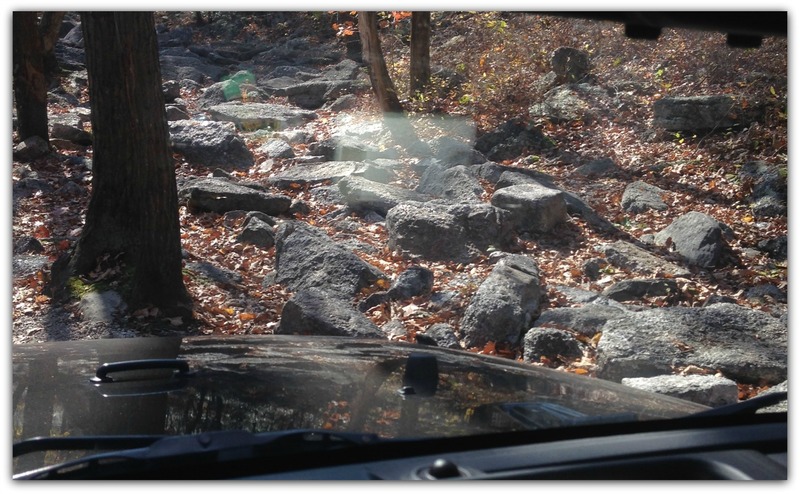 As I began my journey into this new realm, I realized I wanted more from my Jeep. I found my new hobby in off roading. The countless hours of researching the right modifications for my needs began. frustrations as I realized I wouldn't be able to make these changes myself like so many other Jeepers could.I didn't have that skill set. That meant I would have to seek out professionals which meant more money and a longer wait to get my Jeep how I wanted it. My new philosophy -- Life is too short to wait round for the things to happen. So came my decision -- just upgrade it all at once. I traded in the Sahara for a Rubicon. Granted the cost was higher, but it is spread out over time. I may have lost some in the trade but I am much happier with my new Jeep. It gives me what I want. The Rubicon package boasts a stronger transfer case with a lower low range. It has front and rear Dana 44s factory-loaded with locking differentials and lower gears. The Rubicon has electronic sway bar disconnect and offers some additional rocker protection. And -- off-road-oriented mud-terrain tires. Now this Jeep isn't for everyone. Each Jeep owner has different wants and needs. If I were a capable mechanic and had the garage and tools a Sport might have been the better option. The upgrades could have been unique to my needs. If my off roading consisted of fire trails, gravel roads, the beach -- the Sahara would have been the better option. If I wanted to just have that lifted look without the off-road package again the Sport would have been the better option. It all comes down to what you want from your Jeep. A great article I recently read shed some light on the issue. The editors at Four Wheeler Network shared their take on the issue. "Where a Rubicon does make sense is if you're looking for a multi-use vehicle that you can drive on the street and then hit moderately difficult trails with on the weekends." "The Wrangler Rubicon is the most capable production vehicle ever offered. But a Rubicon only makes sense for someone who uses it mostly in the rocks or on other slow crawling trails." I'm glad to see I made the right decision by picking the Rubicon. It is the perfect Jeep for me! But a Rubicon is not for everyone. Each person has their own wants and needs. AND no one Jeep is better than the other. I am thankful not everyone wants a Rubicon to go rock crawling. Can you imagine if every Jeep owner wanted to go rock crawling. UGH... The lines at Rausch Creek Off Road Park would be worse than the lines at DisneyWorld. I'm glad we are all different. It makes for a more interesting world. Jeeps Are Not Meant to Be Dirty! Win a Trip on the Rubicon Trail!